"I call this new album "Long Wave" because all of the songs I sing on it are the ones heard on long wave radio when I was a kid growing up in Birmingham, England ... These songs take me back to that feeling of freedom in those days and summon up the feeling of first hearing those powerful waves of music coming in on my old crystal set. My dad also had the radio on all the time, so some of these songs have been stuck in my head for 50 years. You can only imagine how great it felt to finally get them out of my head after all these years." Jeff on "Mr. Blue Sky"
"There was a big reason I wanted to re-record these ELO songs ... When I listen to the old versions they don't sound the way I thought they did when I first wrote and recorded them. I wanted to use the experience I've gained producing records ever since and have a completely new try at them. I'm not saying the old versions aren't good; I like them very much. We were doing our best, but experience and technology also play a big, big part, and these new ones sound much more solid and tight." "It all comes down to what you truly love doing, and what I love doing is overdubbing and making new sounds out of things that are sometimes quite ordinary on their own, but when you put them together, they make something new ... or something that sounds new. Just discovering things like that musically is a pleasure ... I've been in love with music since I was probably just five years old ... I was made for music then ... and I still am today!" Please visit either Face The Music and/or the Official ELO web site for the full detail of the press release. ELO Beatles Forever [ELOBF] supports, endorses and recommends the past, present and future work of Jeff Lynne and, of course, ELO. I have been waiting for a new ELO, Jeff Lynne album for 11 years. After hearing of two new releases I was excited that at least one must be new material. But now finding out one is a cover album and the other of re recordings I must say I feel a big sense of antclimax, although the albums will be interesting, I will not get that feeling I used to get many years ago when I bought an ELO album anticipating what it contains. Now sadly I know I won't have that feeling. I am a little depressed by this, a little sad after so long. I totally agree with you Mark. After all those years I was expecting new material but no. 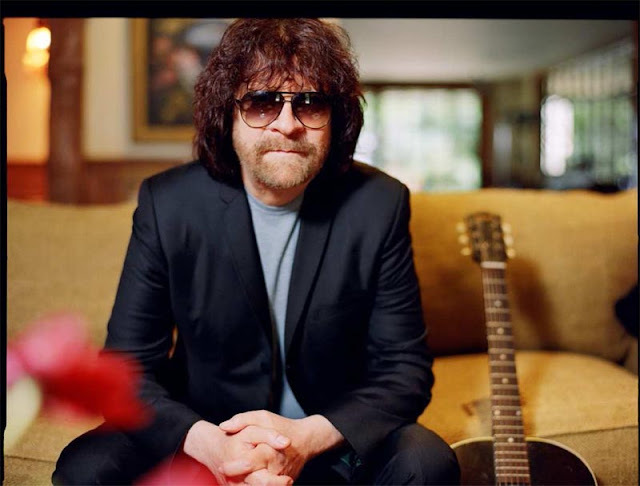 However, Jeff Lynne is 64 years old and I think he has earned to do something for himself. I think he makes these oldies sound great and will have the Jeff Lynne touch we want to hear. I understand why both of you say in your comments but I look on the long wave album as it is new for Jeff. Ok so the songs are old, but they've never been sung by Jeff and his voice on the album is incredible❤ as for the remastered albums, well again I view it as Jeff moving through his career and technology. I must admit I prefer the more recent version of 10538 to the original as I think that the mix on the strings is more blended where on the original it sounded quite raw. Jeff is getting older and so obviously his music changes too. It's still all good to me.